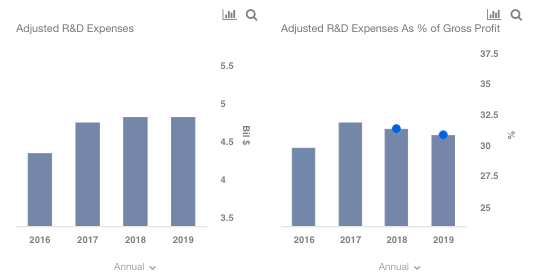 We estimate that Bristol-Myers Squibb’s (NYSE:BMY) R&D expenses will grow in the low single digits to $4.81 billion in 2018. However, we expect a slight decline in R&D expenditure as a percentage of BMY’s gross profit. Currently, the R&D expenses as a percentage of gross profit are a little under 32%, which is the highest level the company has seen over the past several years. This can primarily be attributed to the Opdivo expansion, along with higher license and asset acquisition charges in 2017. However, we believe that the R&D expense as a percentage of gross profit will decline in the coming years, and stabilize under 30%. Of late, many large pharmaceutical firms are becoming more financially disciplined in order to protect their earnings, which are under threat due to patent expiries for key drugs. While BMY’s most important drug Opdivo’s patent is protected till 2026 in the EU, and 2027 in the U.S., some of its other drugs have either lost patent exclusivity or are about to lose it over the next couple of years. We expect the company to be prudent about its R&D spending. We have created an interactive dashboard analysis on BMY’s sensitivity to changes in its R&D expenses. Note that you can adjust the R&D drivers, and see the impact on the company’s overall valuation and price estimate. 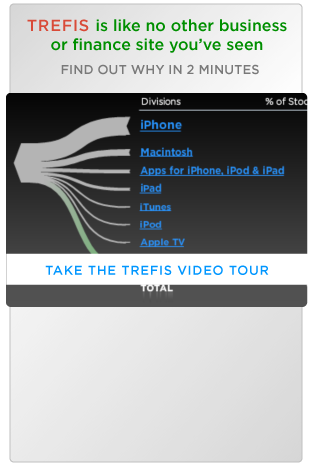 Below are some of the charts and data from the interactive dashboard. Of late, several pharmaceutical companies, including BMY, have been focusing on a few specific therapeutic areas such as oncology. This is expected to streamline expenses and optimize R&D spending. However, developing and bringing a new drug to the market is a long process involving several phases including identifying the compound and clinical trials, which is costly and can last for several years. While BMY is currently focused on expansion of Opdivo, it also has a promising new drug, Prostvac, in its phase 3 pipeline. The company has also entered into an agreement with Nektar Therapeutics, in which BMY will get a period of exclusivity for a development program covering 20 indications involving 9 tumors, matching NKTR-214 with Opdivo and Yervoy combinations. Overall, the company’s future R&D expenses will primarily be revolving around Opdivo. However, if the company continues to invest in R&D at a higher than expected rate, and R&D expenses as a percentage of gross profit increases from a little under 32% in 2017 to around 33% by 2019, it would translate into an approximately 5% decline in BMY’s valuation and stock price estimate, as shown in the scenario on our interactive dashboard. We currently have a $59 price estimate for Bristol-Myers Squibb, which is roughly 10% ahead of the current market price.